We are specialized in producing, sale and export, quality inspection. Our products are various for ceramic tiles, and the designs are modern and fashionable. Our quality are best with strict system of ISO9000 and CE certificate quarantee. 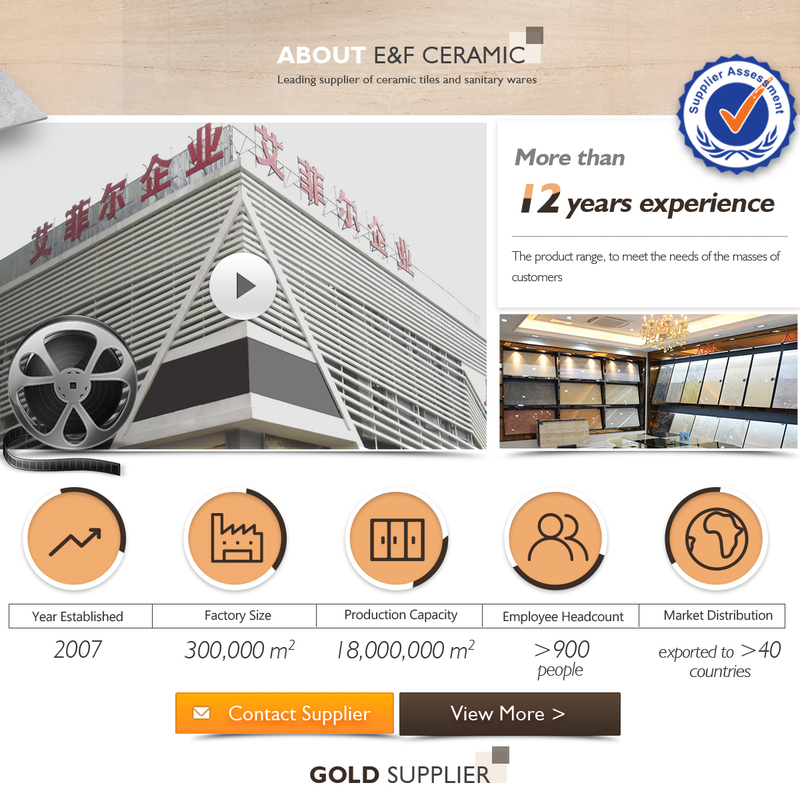 Foshan Eiffel Ceramic Co., Ltd. (EIFFEL) is one of the leading manufacturers of ceramic tiles and sanitary wares in Foshan of China. Having production bases in Foshan and Jiangmen of Guangdong, we specialize in a wide range of top-quality building materials. 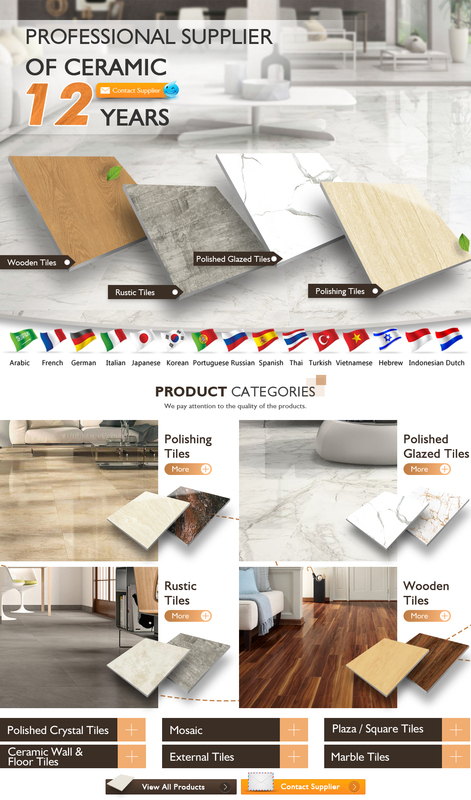 Our ceramic products include wall tiles, polished porcelain tiles, full body tiles, glazed porcelain tiles, glazed tiles, rustic tiles, glass & ceramic mosaic and other products. Our sanitary wares include ceramic sinks & toilets, glass sinks, shower cabinets, steam rooms, bathtubs, bathroom cabinets, faucets, and other bathroom accessories. With advanced Italian equipment, sharp-sighted R&D team, prudent organization and good management, we have become one of the first Chinese manufacturers attaining ISO9001 certification and golden prize in New Science & Technology Expo., Hong Kong. Our brand "E&F Building" has been well known in European and Asian markets. Furthermore, our sanitary wares' high quality has been guaranteed by Meiya Insurance Company. All these enable EIFFEL products to win large market share successfully throughout the world, especially in Asia, Europe, America, the Middle East and Africa. To welcome worldwide business partners with prosperity, advanced technology and innovation, to approach high-class international standards of building materials, we exert ourselves all the time!